With the world population growing rapidly, there is an increased need for efficient food production. Sustainable livestock production will play a key role in meeting the future demands for food around the globe. With rapid urbanization and growing population, there are several problems that the food producers are facing today. The demand for safe food grown in organic farms is increasing rapidly while the resources are becoming increasingly scarce. Livestock farming and agriculture is often blamed for greenhouse gas emission and climate change. Growing food can have a major impact on the environment. There has been growing concerns with the use of fossil fuels, pesticides, chemical fertilizer and herbicides. The use of antibiotics and GMO in farm production is also raising questions around the world. Consumers today are becoming increasingly aware of the negative impacts of farming, and where and how their food is being grown. The need for sustainable food production has never been greater. While demand for animal protein is increasing around the world, there is a growing concern among consumes about how their food was grown, what was fed to the livestock and where their food comes from. Unfortunately, many of the conventional methods of livestock farming may not be sustainable. There are several steps a farmer can take to reduce environmental impacts and to make livestock farming more sustainable. Some of the steps are discussed below. A significant amount of crops are fed to the animals in animal farming. Land water and other resources used for growing crops like wheat, barley, oats, rye, maize (corn), sorghum and millet are grown annually around the world just to feed livestock. These corps could easily be used to feed people. However, foraging animals consume food that humans cannot eat and so, it may be a more sustainable approach to food production. Researchers from University of Cambridge have found a new system of sourcing feed to the livestock through shrubs and trees with edible leaves, herbs and fruits, which they call silvopastoral system. Professor Donald Broom, from the University of Cambridge, who led the research, has identified this system as the future of sustainable livestock production. For efficient livestock feeding, use pastures hay, silage and high-fiber crop residues that are unsuitable for human consumption. In a sustainable farm, animals and crops complement each other. As opposed with a monoculture system, where only one type of crop is grown in a farm, in a polyculture byproduct from animals can be used to fertilize crops, as well as the post-harvest residue from crops can be used feed to the animals. This also increases biodiversity, protects natural ecosystem and in many cases helps pollination. Polyculture can be a natural and effective way of putting nutrients back into the soil by developing several crop systems in the same land. Byproduct from one system becomes the input for the next and so, it consumes less resource, has less pollution and yields more crops in less time. Consuming animal products from sick animals can also make people sick. There are also concerns regarding uncontrolled antibiotic use, GMO and other unnatural food being introduced in the livestock production systems, which are controversial and may have health effects on humans. 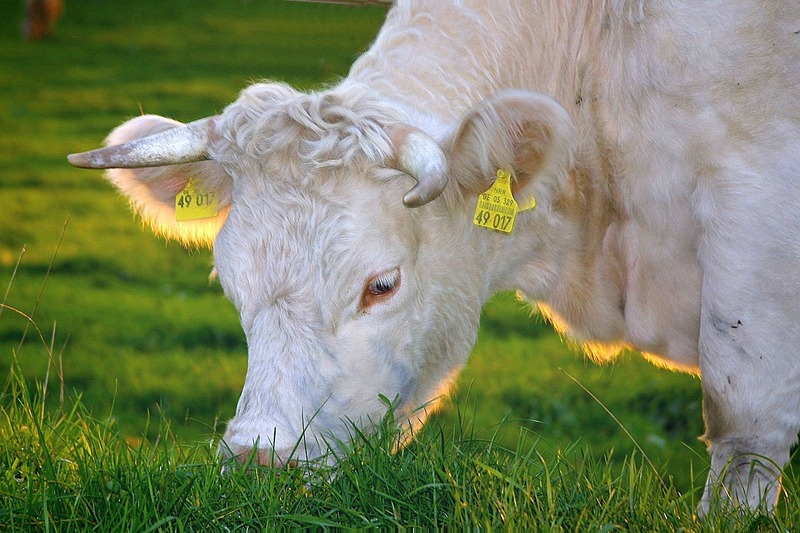 Animals that are raised and grazed on natural pasture grasses tend to be naturally healthy. Antibiotics should be used only when necessary and when prescribed by a certified vet. Well managed and well fed animals raised on healthy food are less likely to become sick. Check for health issues in animals regularly. Quarantine and treat sick animals as soon as possible. 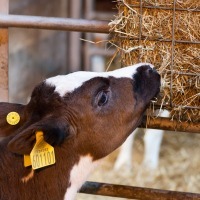 Densely stocked animals tend to spread diseases faster. Take special care for new burns and pregnant animal, they may need additional feed and special care. You are able to boost your animal production with proper diet supplements. Some supplements may contain nutrients that are not present in your pasture grass. Supplements also encourage quicker growth and help your animals grow resilient. They can also be used to alter the microbial population in ruminants so that they can convert food into energy more efficiently, with less wastage and greenhouse gases. For example: Urea and NPN for Cattle and Sheep can be a substitute for protein in livestock diet, when you need more meat and milk from them. Growing companion plants such as clover in your field can provide additional nitrogen in their diet which may increase milk and meat production. Also, add fertilizers to your pasture early in the spring to improve nutrition for your pasture later on in the season. The demand for animal protein is increasing rapidly around the world, and so it has become necessary to practice sustainable livestock farming. Proper animal management and feeding animals efficiently can reduce environmental impacts and also increase farm production which is especially needed when we are facing shortages of food and resources around the world. 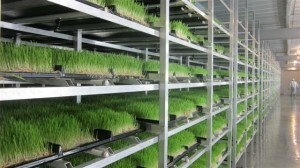 P.S: – To supply your animals with high quality luscious micro-green grasses, learn about our DIY fodder systems. Now is the best time to grow your own micro-green fodder to supplement your pasture grasses. Click here to get DIY plans for proven livestock feeding systems.